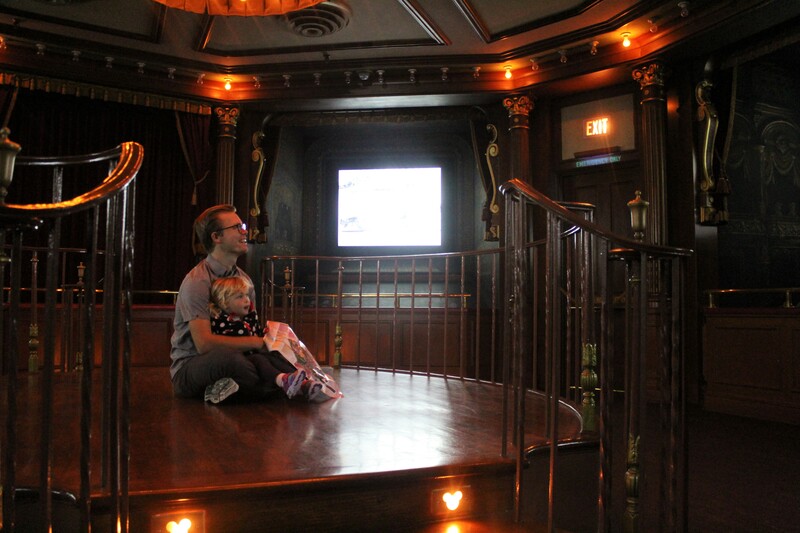 The Animation Building in Hollywood Land is one of my favorite places to relax while still experiencing Disney magic! This dark room has high ceilings and covered with TVs playing clips and songs from Disney films, with lighting to go along with it. It’s a great place for adults to sit and relax on couches while seeing beautiful clips and artwork from Disney films, with lots of running around room for children to get out some energy! Fidler Fifer and Practical Cafe is at the end of Buena Vista Street at Disney California Adventure, and is actually a Starbucks with a 1920’s disguise! They have many large booths with high walls, so you can sit and relax, have a conversation over some coffees, and feel like you’re getting a little peace and quiet from the hustle and bustle at Disneyland. Markethouse is Disneyland’s version of Starbucks, located on Main Street U.S.A. Each corner of Markethouse feels a little different, so if you’re in the mood to play some chess while enjoying a coffee, they have a nook for that. They also have an area where the majority of their tables are that looks like a vintage library, decorated with an old-fashioned fire place and vintage fairytale books! The windows look out onto Main Street, so it’s great for people watching too! If you really need to escape from crowds and noise, the fireplace area of the Grand Californian Lobby can’t be beat! There’s a large fireplace, with oversized rocking chairs all in a dim area, where you can sit and relax in front of the fire. There’s a bar around the corner where you can grab coffee, and at Halloween and Christmas they have a table near the fireplace where you can get a hot beverage and holiday themed baked goods. This area is so relaxing that when my daughter was a young baby and I needed her to fall asleep, this was my go-to place. The Main Street Cinema is a place tourists often don’t know about, and can often be an attraction people pass up visiting, so it is never crowded. On Main Street in Disneyland, it is wedged in between shops, and plays 6 vintage Mickey Mouse cartoons in a dark theater. They even have a platform you can sit on, relax, enjoy a snack or beverage or just close your eyes and listen to the music and sounds from the films. This location made my top choice as a place to relax since it is a great place to relax while simultaneously getting that feeling of Disney magic. Especially if you’re ending a day at the parks, it’s a great place to reminisce about the memories made, and as a great reminder that all the magic started with a mouse!